Ingredients: Chinese green tea, Fujian province. Taste: delicate jasmine flavour with typical green&juicy notes of unfermented tea. Features&recomendation with food: Appropriate drink to take in lunch time. Perfectly well goes with fish. Product highligths: To produce tea with natural jasmine flavour the ready produced tea is combined with fresh jasmine blossoms. Flavouring can takes as many turns as desirable amount of aroma has been absorbed by tea. 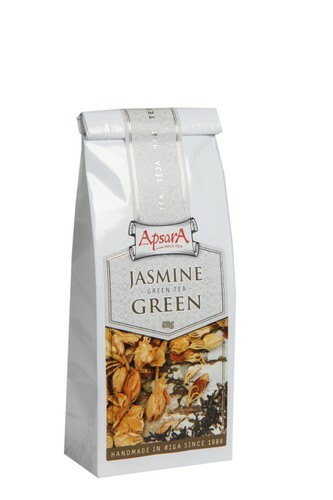 With every new step of flavouring, tea is sorted out of jasmine flowers almost entirely.